ISLAMABAD (92 News) – PPP co-chairman Asif Zardari has saluted the Pakistan Army officials and jawans who sacrificed their lives while fighting against militants. In a statement issued from Islamabad on Saturday, he said that Benazir Bhutto led the war against militancy and sacrificed her life. “The war against militants is the collective war of the nation,” he maintained. 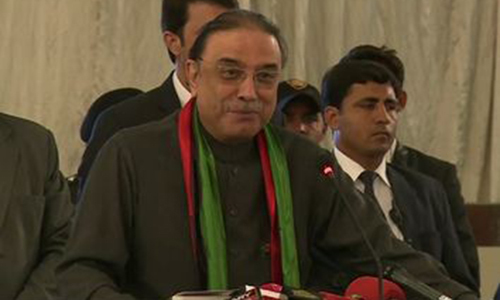 Asif Zardari said that the Pakistan People’s Party is committed to rooting out the philosophy of militancy.